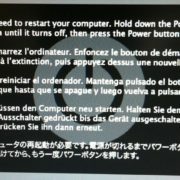 Many Mac users don’t realize just how customizable their Macs are, and a part of the Mac interface that’s simultaneously among the most useful and the most overlooked is the toolbar that appears in every Finder window. By default, the toolbar contains buttons for navigating back and forth, changing the view, arranging the files in the window, performing a variety of actions, sharing the selected file, working with tags, and searching. There’s nothing wrong with these controls, and you may even use them regularly. But those defaults are just the tip of the iceberg. Choose View > Customize Toolbar and a dialog appears with a slew of additional controls that you can drag to the toolbar, after which they appear in every Finder window. None of these controls are unique—they’re all available from Finder menus and via keyboard shortcuts—but it’s often easier to click a button that’s front and center in a Finder window rather than hunting through menus or trying to remember a key combo. Arrange: The choices in this menu let you group files and folders by different criteria, such as file kind, what app owns each file, or the date each file was modified. It’s great when you’re working in a folder with a lot of similar files. Action: This menu duplicates many of the options in the Finder’s File menu but can be easier to access. Space/Flexible Space: Drag Space to the toolbar to separate controls by a fixed amount so you can group related items. Flexible Space works similarly, except it can expand or contract to match the window width. New Folder: Click it and you get a new folder. Handy, if unsurprising. Delete: Equally unsurprising is the Delete button, which moves selected files and folders to the Trash when you click it. Search: Enter some text here to search for it within your files (or choose the “Name matches” item that pops down from the Search field to search for it in just filenames). You can set the default search to be the entire Mac or just the current folder in Finder > Preferences > Advanced. Share: When you want to share a file with someone else, look here for sharing extensions for AirDrop, Mail, Messages, and more. You can also import files into some apps, like Notes, using the Share menu. 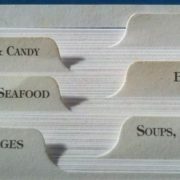 Edit/Add Tags: If you rely on Finder tags to group and find related files, this menu makes it easy to add and edit tags for selected files and folders. Don’t miss the Show pop-up menu, which lets you customize your toolbar to show icons with names, just icons, or only text. 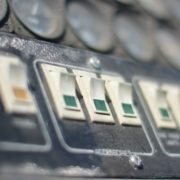 What if you want to get rid of a toolbar button? Just drag it off the toolbar while the Customize Toolbar dialog is open. But that’s not all! While the Customize Toolbar dialog is open, you can drag buttons around on the toolbar to rearrange them. Even better, you can drag any app, document, or folder into the toolbar (from another Finder window) to add it. It’s a great place to put that spreadsheet you open every day or the utility app you use to upload a weekly report. You can even drop a file on an app in the toolbar to open the document in that app. To modify the toolbar quickly without opening the Customize Toolbar dialog, just hold down the Command key. With that key down, you can move items around on the toolbar, drag unnecessary items off, and drag new files on. No matter what you do on your Mac, taking a few minutes to customize the toolbar with controls you’ll use and your primary apps and documents will make using the Mac faster and easier every day. Give it a try! We’ve all become accustomed to opening Web pages in separate tabs in Safari, Google Chrome, and Firefox. And in OS X 10.9 Mavericks, Apple gave us the capability to open different folders in tabs in Finder windows, making it easy to work in multiple folders with limited screen real estate. So how do you get started with tabs and how can you use them in your everyday work? First, to determine whether Sierra was able to add tab support to a particular app, look in that app’s View and Window menus. If you see View > Show Tab Bar and tab-related commands in the Window menu, you’re good to go. Next, if Show Tab Bar doesn’t have a checkmark on the View menu, choose it to reveal the tab bar, which appears between the app’s main toolbar and the document itself. You’ll see a tab for the current document or window, and (in most apps) a + button at the right side of the tab bar. 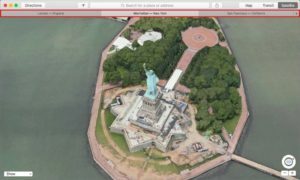 Here we’re showing three tabs in Maps. One final setup step: By default, documents open in separate windows. 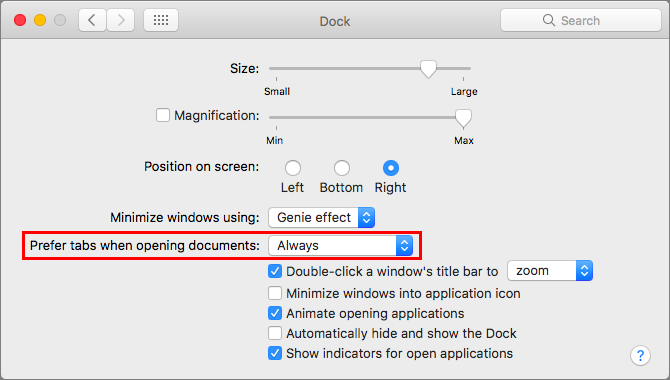 To make them open in tabs, open System Preferences > Dock, and choose Always from the “Prefer tabs when opening documents” pop-up menu. This setting applies both to existing documents and those you create by choosing File > New. Create a new, empty tab: Click the + button in the tab bar. Choose Window > Show Next Tab (to the right) or Show Previous Tab (to the left). Press the Control-Tab (next) and Control-Shift-Tab (previous) keyboard shortcuts. Choose Window > Tab Name. Drag a document’s tab from one window’s tab bar to the tab bar in another window. Choose Window > Merge All Windows. Drag the tab out of its tab bar until it becomes a thumbnail of the document. Choose Window > Move Tab to New Window. Rearrange the order of tabs: Drag a tab to the desired position in the tab bar. Hover over the tab to see the X button at the left side of the tab. Click the X. Choose File > Close Tab. Getting used to tabs may require a little adjustment, but if you configure your Mac to always prefer tabs when opening documents, using tabs will quickly become second nature, just as it is in Web browsers. Finder icons sometimes hint at what’s inside, but if you find yourself opening file after file to look at the contents quickly, OS X has a little-known feature just for you: Quick Look. To give it a spin, find a file in the Finder, click it once to select it, and press the Space bar. If it’s a supported type of file, Quick Look displays a window showing the contents of the file. Press the Space bar again to close the window. If the document you’re previewing has multiple pages, you’ll see thumbnails that you can scroll through using your mouse or trackpad, or by pressing the Page Up/Page Down keys. But you aren’t limited to just viewing a file in Quick Look: click the Open in app-namebutton to open the file in its default app, or click the Share button in the upper right to send the file to someone else via email or Messages or another sharing service. 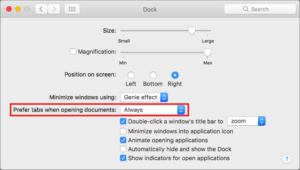 If you need to scan through a set of files in a folder, you can navigate between them using the arrow keys while the Quick Look window remains open — how you move among the files depends on the Finder window’s view. 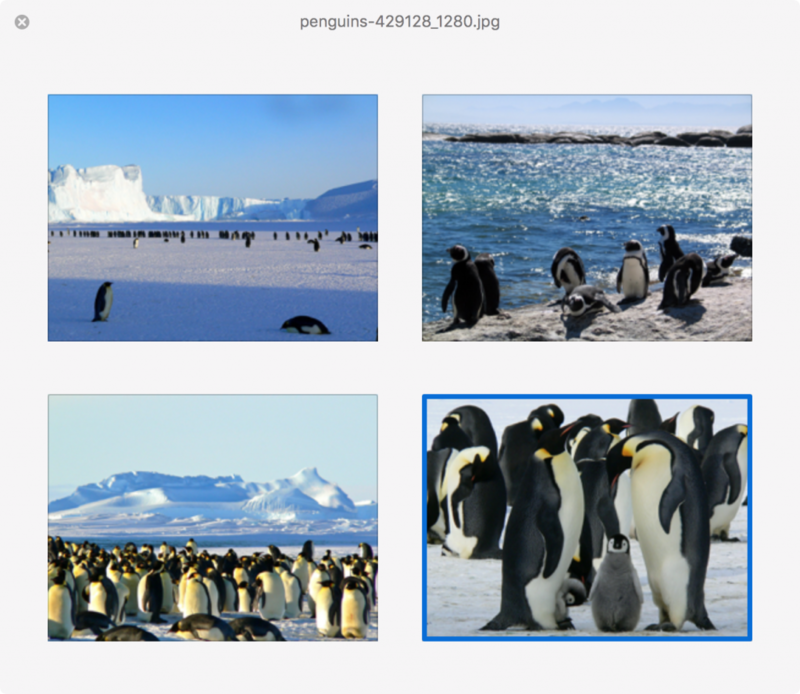 In List view, for instance, using the Up and Down arrow keys can be a great way to browse through a collection of pictures. You can even interact with the Finder while using Quick Look, which means you can delete an unwanted photo by pressing Command-Delete while previewing it. Quick Look works well for comparing multiple similar files. Select a bunch of files and press the Space bar to open them all in Quick Look. The Left and Right arrow keys let you cycle through your selection; there are also Forward and Back buttons that appear in the top left of the Quick Look window. Next to those buttons is a Thumbnail button that displays the selected files in a grid—click any thumbnail to focus on just that item. To remove the distraction of your Desktop, click the Zoom button in a Quick Look window. You can start a slideshow from there, or just press Option-Space to open Quick Look in Full-screen view with the slideshow already started. Although it’s used mostly in the Finder, Quick Look is available elsewhere. For example, if you’re in an app’s Open dialog, you can select a file and press the Space bar to preview it right there. 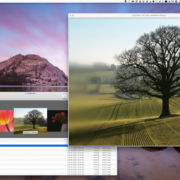 When restoring a file in Time Machine, use Quick Look to see if it’s the version you want. Most Internet file transfer apps, like Cyberduck, Fetch, and Transmit, support Quick Look, making it easy to preview a file on a remote FTP server. You can also preview an attachment in Messages by selecting it and pressing the Space bar. Quick Look takes just a moment to learn, but it can save you hours of time poring through files on your Mac. In theory, it should be easy to move the cursor in text on an iPad or iPhone—just press and hold until the magnifying circle appears over the cursor and then slide it around. In reality, it’s often fussy and annoying. Apple came up with a better solution starting in iOS 9: trackpad mode. In trackpad mode, you turn the onscreen keyboard into a virtual trackpad. Just as on a Mac laptop, moving your finger around the virtual trackpad moves the cursor around in the text above. 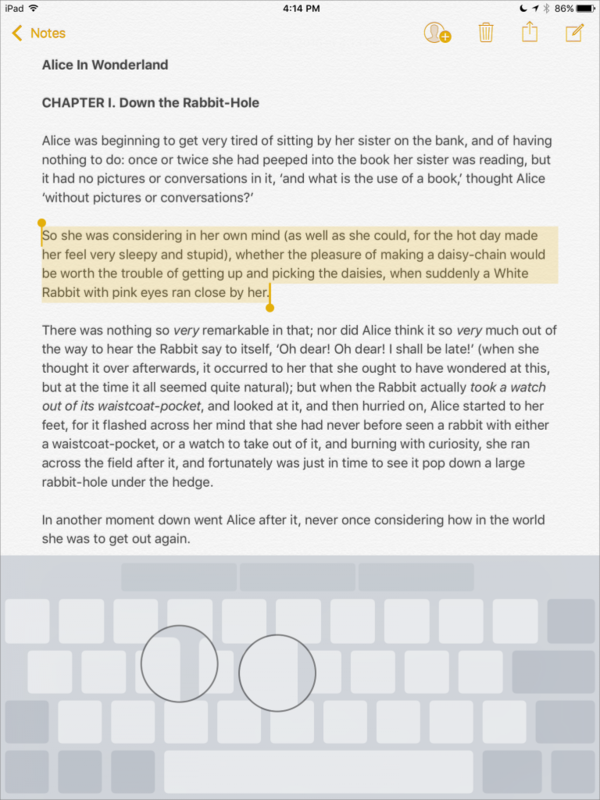 How you invoke trackpad mode differs between the iPad and iPhone. On an iPad, open any app that allows text input, like Notes, and bring up the keyboard. Touch the keyboard with two fingers, and you see the letters disappear from the keyboard as it switches to trackpad mode. Immediately swipe your fingers (or just one, you can lift the other up) around to move the cursor within the text. You can also select text in trackpad mode. Instead of swiping immediately after entering trackpad mode, pause with your two fingers down briefly, which causes iOS to switch to selecting text. Then move your fingers around to change the colored selection. 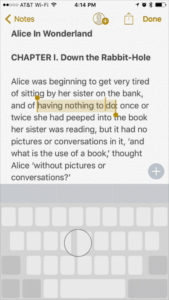 For easier selection of chunks of text, tap once with two fingers to select the word underneath the cursor, twice to select the sentence around the cursor, and three times to select the entire paragraph. To expand or contract the selection, keep your fingers down and drag the selection cursor. To deselect text, tap once on the keyboard with two fingers. You can use trackpad mode even if you have an external keyboard attached. Tap in a text field, place two fingers inside the field to engage trackpad mode, and then move your fingers to reposition the cursor. 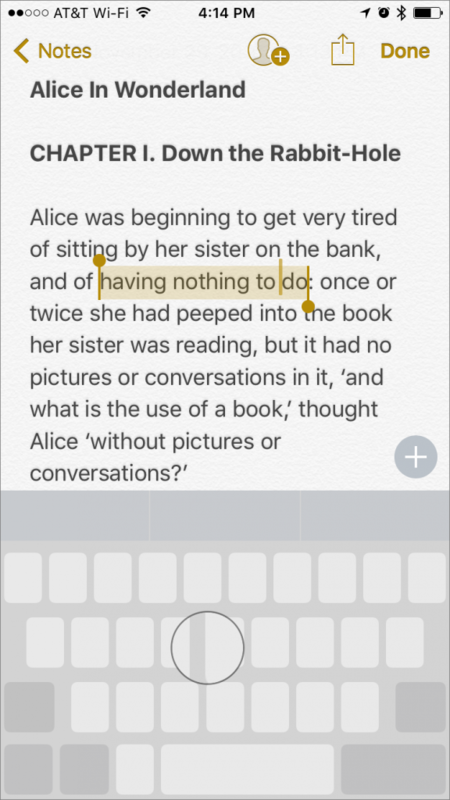 To select text, put the cursor inside a word, release your fingers, and tap once to select the word, twice for the sentence, and three times for the paragraph. To use trackpad mode on an iPhone, you’ll need 3D Touch, which limits it to the iPhone 6s and 6s Plus, and the iPhone 7 and 7 Plus (the iPhone SE does not support 3D Touch, alas). Instead of tapping with two fingers, press firmly on the keyboard with one finger—you’ll feel the iPhone’s Taptic Engine simulate the feel of a click. Keep your finger down to move the cursor around. If you need more room, you can move your finger off the keyboard image right onto the text. To select a word, relax your finger pressure slightly without removing it from the screen, and then press again. It’s quite similar to the feel of clicking on MacBook trackpad. 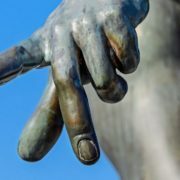 You can even double-press—again, with a slight relaxing of the finger first—to select the current sentence and triple-press to select the entire paragraph. 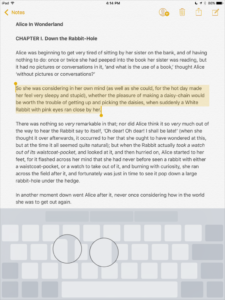 Keep dragging after selecting to select more text by the word, sentence, or paragraph. Trackpad mode takes a little getting used to, but it’s so much better than the previous selection methods that it’s worth forcing yourself to use it a few times until it becomes second nature.